We continue our look at the causes of youth homelessness , by hearing from the Booth Centre. 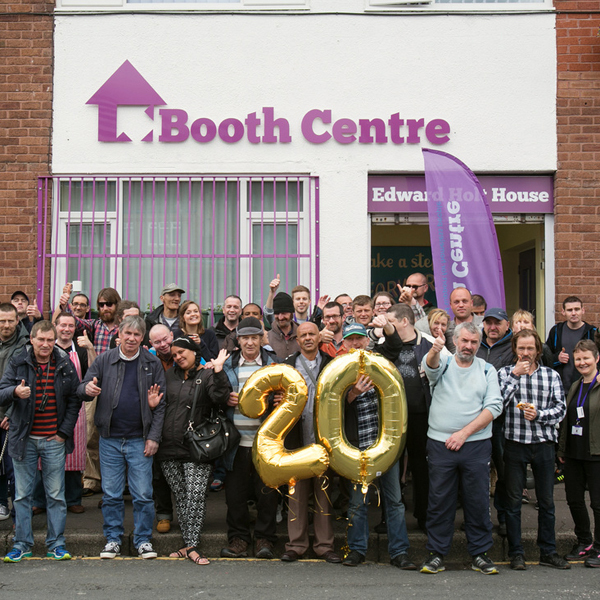 Manchester based, the Booth Centre, offers advice and activities to people that are experiencing homelessness, helping them to keep busy, build skills and confidence and make positive changes. Many of the homeless people the Centre works with are battling with alcohol and/or drugs abuse. The activities offered at the Centre are designed to help change negative behaviours and move into a more stable and healthy environment. 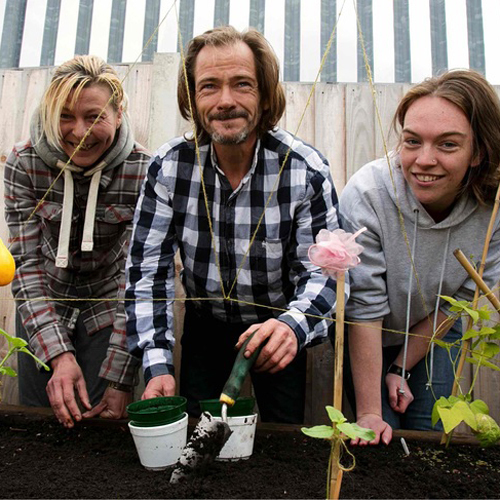 The activities – including gardening, sport, music and art classes – give people the opportunity to occupy their time, tackling boredom and low self-esteem which many homeless people experience, and build skills and confidence that will benefit them in everyday life. Fred, 23, shared his story with the Centre, who have kindly allowed us to share it with you. “I lost my job and then I couldn’t pay the rent and everything fell apart. I was living on the streets of Manchester, and couldn’t find work – how can you work when you are sleeping in a doorway? I started to drink heavily to get away from it all. Fred, went to the Booth Centre when he was sleeping rough. He was able to access free food, advice and to contact his friends and family on the internet. The Booth centre provided support for Fred’s mental health and alcohol problems through their advice and activities programmes. As a result, his confidence and self esteem grew and his mental health improved. He also made new friends at the Centre which stopped him being so isolated and depressed. The Booth Centre also gave him work experience through their supported volunteering programme, followed by a paid work experience placement as a cleaner and helped him move from the hostel into his own flat. This helped Fred get back into work and he is now very positive about his future. Join in our conversations on homelessness on social media by following #homelessness. Find out more about the main causes (and consequences) of youth homelessness.